RUSH: Dana in Newton, Massachusetts. Welcome. Great to have you, sir. Hi. RUSH: Yeah, keep an eye on Mayor Pete. CALLER: Yeah. So I did. I watched, and more importantly, I listened, for example, to the much-touted town hall he recently did on CNN. RUSH: Yeah, yeah, yeah, yeah. CALLER: And some other appearances like on The View and Morning Joe. He looks good, calm and relaxed, ready to go to work, pull up his sleeves. He has his trademark white shirt, solid tie, no jacket. But after a while I noticed he really didn’t say anything other than repeating his standard schtick that he’s young and a mayor who has to balance a budget and that’s why he’s good. RUSH: Right. Right. So you’re wondering what I was talking about, then? CALLER: No, no, no! I’m just saying he’s actually good at what he does because he doesn’t really say anything, but he looks good. RUSH: Exactly. He’s articulate saying nothing! 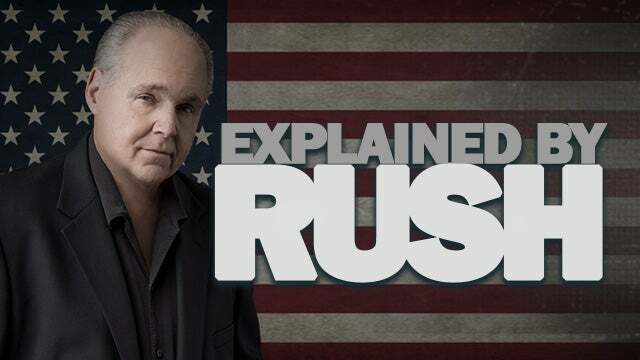 RUSH: And the left equals articulation with intelligence. That’s why Trump’s an idiot. That’s why George W. Bush was an idiot ’cause he couldn’t articulate. RUSH: But because of that he didn’t sound as radical as he is. This is the key, the guy is as radical as any of them. He just has it tamped down. RUSH: And the first question he got, that audience, did you watch the Q&A with the audience? That’s a different world. That show could have been on Mars, as far as I’m concerned. RUSH: But the first question he got, “What are you gonna do about getting rid of gay conversion therapy? I think it’s hideous. I think it’s horrible. What are you gonna do about it?” And here came the flowing answer about his husband, what a great political spouse the husband is and how gay conversion therapy is one of the most inhumane — this guy is nodding his head out there in the audience. And, of course, nobody is gonna come out for gay conversion therapy at one of these things. But no, you’re right. That’s why I say, keep an eye on the guy because he’s somebody that can make a lot of people think that he is what he isn’t. RUSH: I have the perfect example here. I have the perfect example of what I was talking about, about Mayor Pete, not only when I saw him on that town hall, but with the caller we just had. How about that? I made that hour sound so compelling, that caller went to the archives to find — that happened three weeks ago, that town hall. That caller went back and wanted to look at it because of what I said about it and called in to talk about. “This guy doesn’t say anything.” That’s exactly right. But it’s actually worse than that. Greetings, and welcome back. Rush Limbaugh and the fastest three hours in media. It’s great to have you. Rush Limbaugh here at 800-282-2882. Now, a little bit more about Mayor Pete. 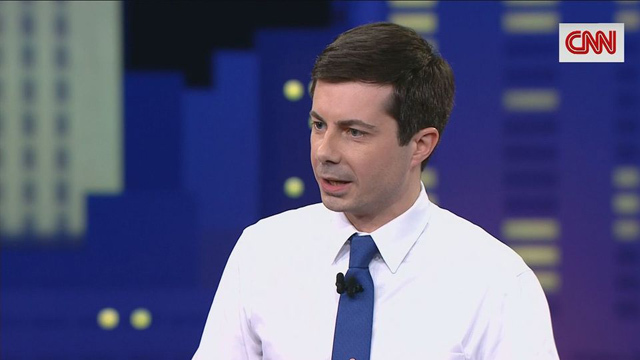 Pete Buttigieg, the mayor of South Bend, Indiana. 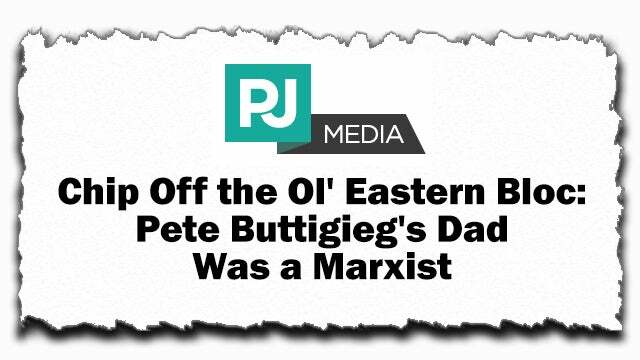 His dad was a full-fledged alleged Marxist. He was a Marxist professor who spoke fondly of the communist manifesto and dedicated a large part of his academy career to the work of Antonio Gramsci, the Italian Communist Party founder and also an associate of V. I. Lenin. Joseph Mayor Pete, Joseph Buttigieg died just this past January, age 71. He emigrated to the United States in 1970s from Malta. And Malta happened to be where one of the professors who ran the scam on George Papadopoulos was from. Anyway, in 1980, Joseph Buttigieg joined the University of Notre Dame faculty where he taught modern European literature and literary theory, which was a cover for teaching Marxism. He supported an updated version of Marxism that gets rid of some of Marx and Engels’ most doctrinaire theories, but he was proudly and unapologetically Marxist. You see, to Mayor Pete, and by the way, I think this applies to pretty much every leftist out there. To Mayor Pete, “any adversity you face in life makes you less ‘free.’” Anything in your way, any obstacle in your way makes you less free. And by obstacle, I mean, adversity is like being down 30 points in the fourth quarter in a football game or having a tough professor in college. We’re not talking about people denying your rights. We’re just talking about competitive adversity. And, see, the root here is “competitive.” In Mayor Pete’s world, there can’t be freedom if there’s competition. Because in competition, there are winners and losers, and that’s not fair. We can’t have losers. We can’t have the stigma of “loser” that can destroy a person. It can really give them self-esteem problems. So anything that constitutes a competitive obstacle, a competitive adversity in his world is essentially a denial of freedom. So to Mayor Pete, being free means the government taking care of you and getting rid of these adversities, these obstacles. And Treacher writes that when he heard Mayor Pete define freedom, he said it sounded exactly like a damn communist. 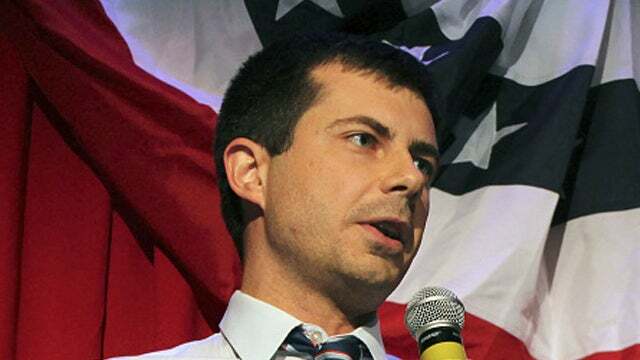 In Mayor Pete’s world, everything that you would read about him is homophobic because he’s gay. And you’re not allowed to criticize him. Just like Obama, you couldn’t criticize Obama because he was black or half black, and therefore any criticism was logged in as racism. And so Obama had a free pass, and that’s what they want with women, and that’s what they want with the first Hispanic. And you’re not gonna be able to criticize the first woman ’cause it’s gonna be sexist or misogynist. And you’re not gonna be able to criticize the first Hispanic because that’s gonna be whatever it is. And so if we ever do elect a gay president, you’re not gonna be allowed to criticize him because that’s gonna be homophobia. You’re not allowed to criticize him. And if you do, then you are guilty of incurring Mayor Pete’s freedom. His “definition of ‘freedom’ is the opposite of the one our founding fathers used. He grew up learning about a very different group of dead white guys.” He grew up learning Gramsci and Marx and Engels. He didn’t grow up learning about Madison, Jefferson, and Washington. Some people call Mayor Pete the white Obama. But that’s not actually true. I’m not gonna give you the actual definition here. Just make sure that you understand that, to the left, any criticism, you’re stomping on their freedom. Any adversity they face is an affront to their freedom. That’s why they don’t want to hear any dissenting points of view. That’s why they don’t care to debate. They’re not interested in being the arena of ideas and even prevailing, because all of that, it explains the snowflake mentality. You know, a conservative spokesman being brought in to make a speech on a college campus is an assault on their freedom, and they’re generally scared they’re gonna lose their freedom if conservatism is anywhere near. Something they disagree with is an obstacle. It’s adversarial, and it’s interrupting their freedom. And this is how they think. And it is one of the best ways that I could think of to help you understand what seems to us completely irrational, that having people disagree with you somehow stomps on your freedom or that having an obstacle in life or facing adversity is tantamount to losing your freedom, but freedom and equality and government, see, is there to get rid of all adversity. Government is there to make sure there isn’t any pain, there isn’t any racism, bigotry, homophobia, misogyny, or any of this. And of course that’s impossible. Government can’t stamp that stuff out because people are people and they’re gonna be who they are no matter what. But they’re not gonna stop trying to grant government that kind of power to shut up people that they don’t want to deal with because it is a denial of freedom for them. And when Mayor Pete was going through this, that South by Southwest, that got one of the biggest rounds of applause, his definition of freedom is nobody disagreeing with you, nobody having the power to put an obstacle in your way, no adversity in life. Man, that is not real, folks. You know, most obstacles in life I believe are self-imposed. Not all, but I think most of the hardship in life, a lot of it is self-imposed. Most of the obstacles, most of the challenges that we face are self-imposed. You have to overcome yourself. You have to overcome your own limitations. But to them, all of that, all of that is bad, that’s mean, it’s unfair, and it ought not happen, and there ought not be any adversarial anything. No adversity, period, and there shouldn’t ever be any obstacle. That’s not a free society when there are obstacles in the way of what you want. Stop and think how irrational that is. But I’m telling you that audience at South by Southwest was swallowing that stuff up faster than Mayor Pete could produce it!